Instructions for how to set up monitoring and alerting for a Docker host and containers. 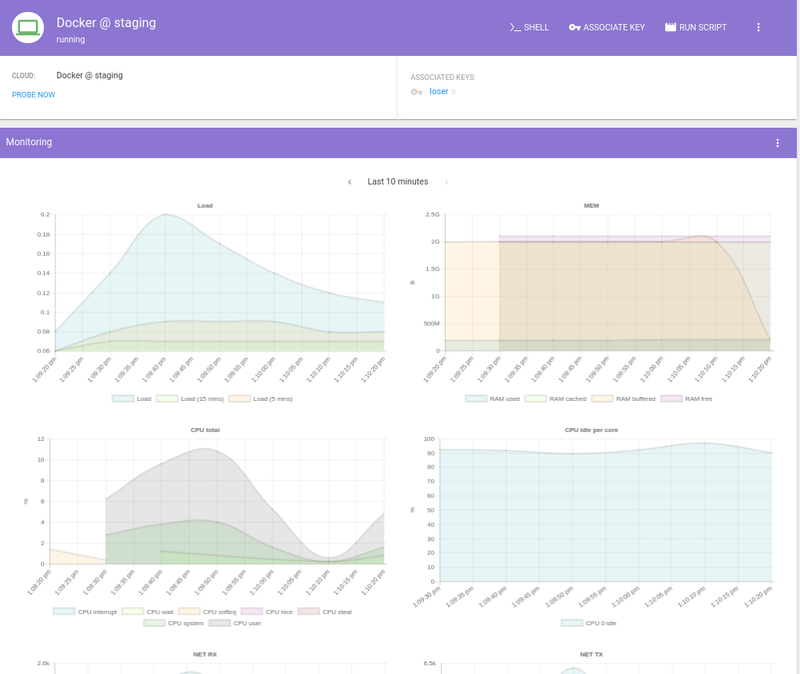 You can enable mist.io monitoring on the Docker host and get diagrams for system metrics, plus add custom rules to get alerted when a condition is met. By default you will reveive an email alert if the Docker host goes offline, or if network issues are experienced. As soon as mist.io servers don't receive data for 1 minute, an email alert is sent. If you want to monitor container's uptime you can achieve that by adding a simple collectd script and set custom rules. Add the Docker host as a Docker Cloud and enable monitoring. Run the monitoring command and wait 1-2 minutes until the monitoring graphs are created and appear on the Machine page. then  echo "PUTVAL \"$HOSTNAME/container-$container/gauge-status\" interval=60 N:1"
else echo "PUTVAL \"$HOSTNAME/container-$container/gauge-status\" interval=60 N:0"
Make sure you put the container names on list_of_containers. 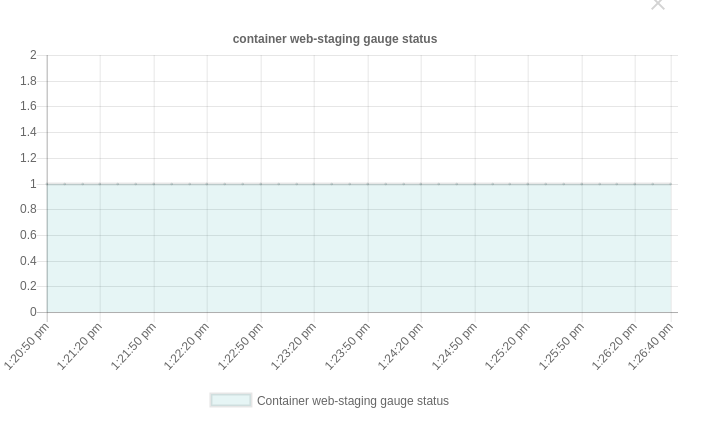 In this example, you will monitor db-dev and web-staging containers. You cannot put root here since collectd doesn't allow it, instead, you have to use a sudo user that can sudo without password (ubuntu in our case). Now visit the Machine page for the Docker host. You will see two new diagrams, one for each of the containers. If the container is running, then values will be 1. If the container becomes unavailable, then values becomes 0 . As soon as a container becomes unavailable an email alert is sent. If you want to monitor uptime for new containers, just edit file /opt/mistio-collectd/collectd.sh and add the container name on variable list_of_containers of the script (no need to restart collectd).